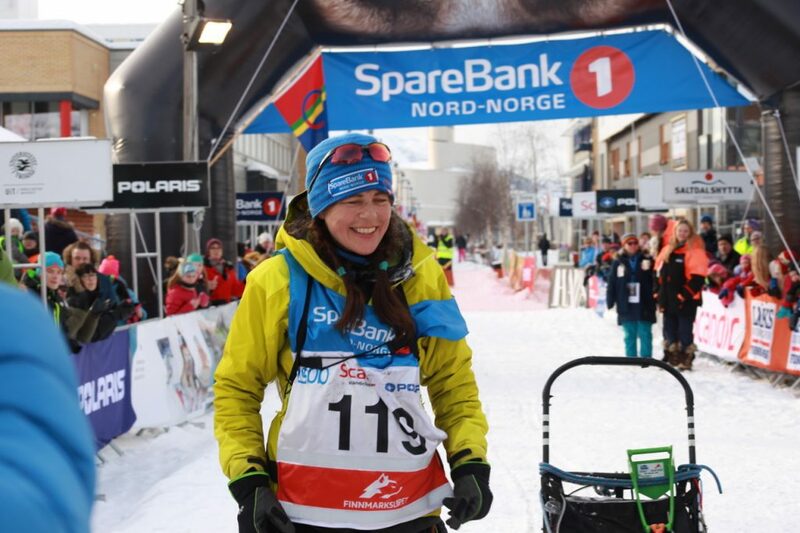 Rookie Solfrid Håkenstad became silver medalist when she participated in her very first Finnmarksløp. Håkenstad lives in Beitostølen together with partner Erik Rødesjø, who finished #27 when he participated in FL-500 in 2017. They both represent Valdres Trekkhundklubb. Håkenstad was introduced to dog sledding while living in Svalbard for eight years. She has previously participated in Femundløpet (F400 in 2016) and in Gausdal Maraton (2016). This year, she made an impressive debut in FL-500, and can bring the silver medal home to Beitostølen! During the first half of the race, Håkenstad raced somewhere in the middle of the FL-500 group. However, after she left check point Valjok as #9 midday Monday, something changed. She left as #4 from Karasjok, but came in to Jotka as #2, a position she managed to keep until the finish line. – It is the team who made this achievement, she said.